Dieting, - Will Our Body Ever Adapt? - A Healthy Lifestyle is Fundamental to a Slim, Healthy Happy Body! Home / HEALTHY LIFESTYLE / Dieting, – Will Our Body Ever Adapt? This membership will teach you how to lose weight for good! Does Our Body Adapt to diets ? To suggest that our body adapts to any diet is dangerous and grossly inaccurate. Our body is not designed to adapt. it evolves. Human evolution is a very slow process. When we diet our body knows only one response; Famine! It slows our metabolism and prepares to store fat. As soon as the famine is over, the body goes to work to restore all the lost weight. The more often we diet the fatter we get and the more adept our body gets at restoring the weight. Our body is programmed that way. It’s nature! Dieting is not natural to our body! Human evolution is a process that takes eons. As we evolved over the centuries, so did our natural diet. Today we refer to that diet as our traditional food. Through the ages, as our lifestyle evolved, so did our food choices. But the changes were small increments over many centuries. That is, until around Forty years ago, when we foolishly reversed our natural diet. Till that time, our diet was best described as our normal healthy food. There was no dieting. No food plans, and no calorie counters and no scales. Diabetes type 2 did not exist. Weight problems were rare and Obesity statistics were not even considered.Gaining weight was viewed as a sign of illness, like diabetes or a thyroid condition. We simply followed our instincts and listened to grandma. We had plenty of variety. We what to eat, because our instincts told us. Our natural food was always our traditional food. Dieting is a modern invention that makes us fat! We’ve become addicted to processed foods. We are dependent on the very people who cause the addiction and are now reaping the profits. We started with an evolved, refined, well-functioning internal system. It worked without a hiccup for centuries. Today, dieting has become almost a science. A lot of work is put into making every diet very complicated. We need an expert to advise us on the right types of food to eat. We expect meal plans, rules and guidance. We have disconnected ourselves from our internal body. We barely give it a thought. Yet, forty years ago, most people still used their instincts. Dieting Is dangerous to our health! This has been very convenient for those who profit from our eating habits. But what’s really damaging about that is we have become incompetent when it comes to making our own food choices. Nobody got fat on our traditional food. But then we reversed it. We flipped it upside down. We gave our internal body a shock it has yet to recover from. Dieting is normal because we are all doing it! Yet there is no evidence diet have ever bee a solution for anybody. Common sense should have told us that reversing our traditional food was not a very smart thing to do. But it was the Seventies. It was a time when everybody had a theory about something and claimed to be an expert on everything. It was the age of experiments and human intervention. Nature could be improved and it could also be proved wrong. People could do better we said. It was only a matter of time till somebody would turn their attention to our normal food. It was boring, old fashioned, out dated. it was everything we disapproved of in the Seventies. It was time to modernize. There happened to be a group of people who aspired to a niche close to medicine. They decided the best way to get attention was to create a diet. The more different to our normal food, the better. They added rules, restrictions and graphs of specific food groups. They had a big poster made to depict a food pyramid. It showed the exact ratio of the types of food allowed. 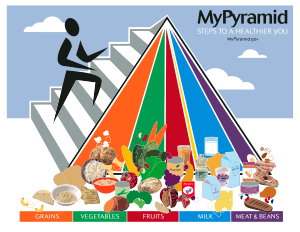 The food pyramid was promoted as the only solution for cholesterol problems. It was therefore natural to assumed the diet was a well researched, scientific marvel, created by genuine experts. In fact, it was slapped together by some amateurs who went on to call themselves nutritionists. 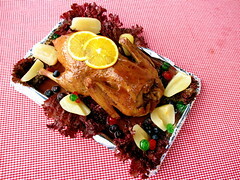 It was simply an exact reversal of the natural food, that till then, we had all considered our normal food. Nobody ever thought to check how our body felt about dieting. People soon stopped thinking about their body at all. We now had experts to take care of that. We could relax and focus on our exterior. A far more interesting place for our attention. Today we have plenty of evidence of how our body felt and how it still feels today. We have an obesity epidemic. Diabetes type 2. Hospitals are flooded with demands for colonoscopies. Heart disease is spiraling, cancer is on the increase. Pharmacies are stocked to the rafters with remedies that alleviate digestive and intestinal problems. Today most of us have no idea how the body works. We accept unqualified theories by the people and corporations who tell us what to eat and profit from the advice. According to obesity statistics, 86% of the population will be obese by 2030. In response to that, the ‘experts’ are sure to invent a new diet. If we want to live long healthy lives, we must cure our food addiction and stop dieting. We desperately need a reality check while we can still do something about it! Somebody has to break the circuit of addiction! Take action before it is too late.. Previous: How To Get A Permanent Weight Loss In 12 Weeks! Next: Eating Healthy Without Dieting!